Department of Geological Sciences Annual Fall Picnic. Interested in a Career in the Energy Industry? 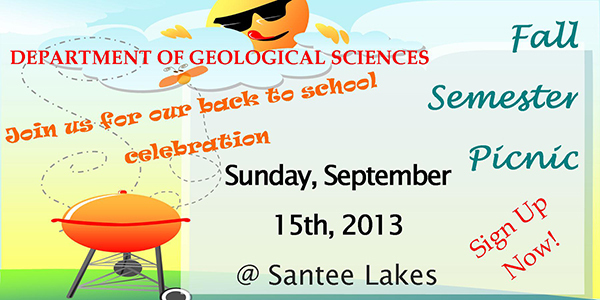 Fall 2013 Department Picnic – Join us! Sign Up Now!